Bootstrapping is a term used to mean something that is a self-sustaining process that proceeds without external help after first being started. In other words it is a way to start something that then becomes self-sustaining needing no more external input. The term came into use in the 1950’s and was used to denote a way of starting up computers by inserting one instruction that then caused more instructions to be loaded. In a similar way we may need to bootstrap our thinking. Inputting the first instruction set to allow the process once started to become self-sustaining. If we have a negative mindset and question the value of feeding ourselves positive statements then we perhaps need to start by re-programming our mind about the value of such statements before we can then continue to feed our minds more mental success patterns. It is not always necessary but in some case it is advisable if you feel that you are not 100% convinced that the whole mechanism will work for you. With our Mind Power Programs you have discovered the astounding power of the mind. The power of your own mind. Mind Power Programs are audio programs that literally alter your way of thinking. They remove unsupportive beliefs, thoughts, attitudes and emotional habits that you may have acquired over a lifetime and replace them with proven success modelled thought patterns, enabling YOU to obtain the exact same results that successful people get. To achieve this each Mindset Program ‘teaches’ you the actual subconscious beliefs, thought processes and attitudes of the people who are the best at something already. They install the automatic mental process of the most successful people, directly into your subconscious mind. Using state of the art accelerated learning technologies, Mind Power Programs gently coax your mind to THINK the same way successful people do. Those who are already successful in their lives. 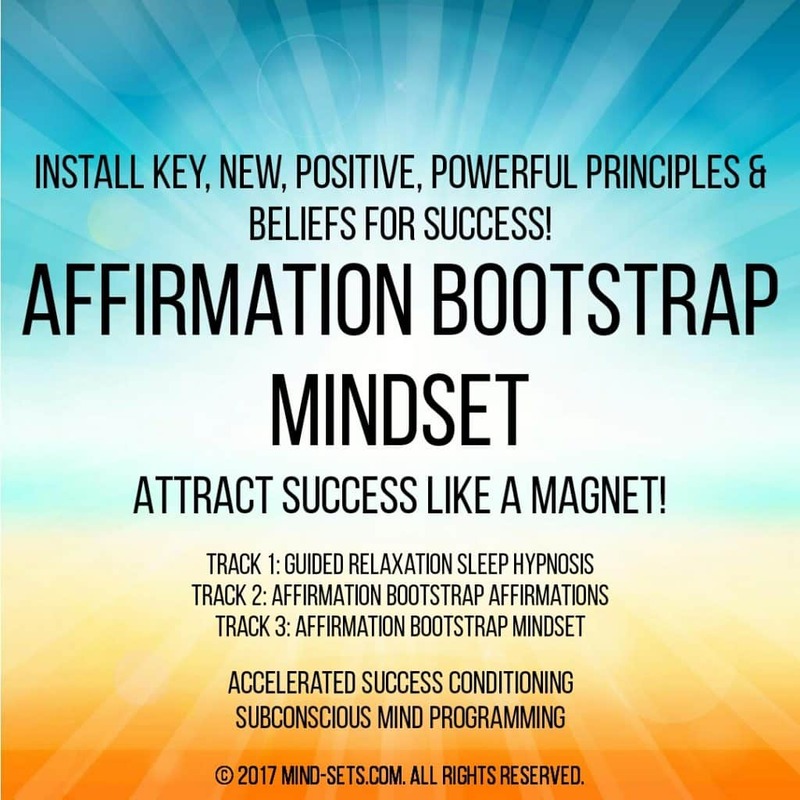 The goal of each Mindset Program is to teach and program you to more effectively use and control your mindset so that you can tap more easily and productively into the way you believe or BE+LIVE. In ways that will create and attract more of what you want into your life! This could be the starting point for the beginning of the rest of a your life – a new life, a life lived on your own terms – healthy, fulfilled and successful. 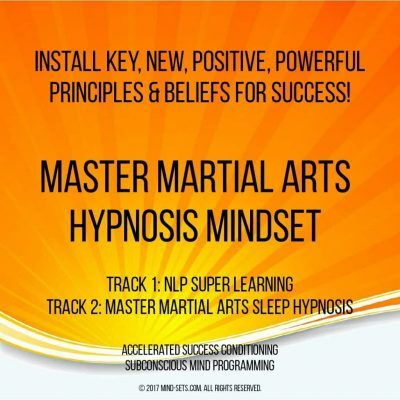 For the first time ever you have within your grasp the means to reprogram your mind using the most powerful method of accessing your latent subconscious mind and replacing limiting self defeating thoughts patterns with new uplifting and empowering positive mindsets. Procrastination is the killer of success. Immediate action creates momentum. Repetition of positive thought sustains it. Using our unique system, you will naturally find new empowering positive thoughts re-occurring in your mind several times per day. You will begin to notice YOUR new mindset positive statements shaping your other thoughts. As the mindset powerful positive statements create more and more similar thoughts, you will create a direction and build momentum towards your desired results. Let your positive thoughts of power and certainty guide your actions. Track 1: Our proprietary Sleep Hypnosis track that can be listened to either awake, relaxed or even asleep. This powerful hypnosis track begins the re-programming of your mind towards the desired direction and course you wish to take. 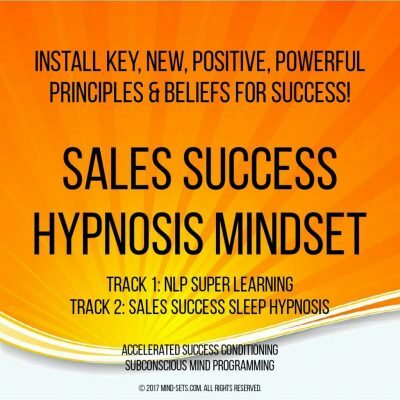 Powerful enough in its own right to be sold separately this is a bonus track that will set the scene for the profound changes about to take place in your subconscious and eventually conscious thinking. Do not underestimate the power of this incredible recording – on its own it can effect very deep changes in your beliefs, outlook and actions in life. Track 2: The core of our unique mind reprogramming audio software for the mind. 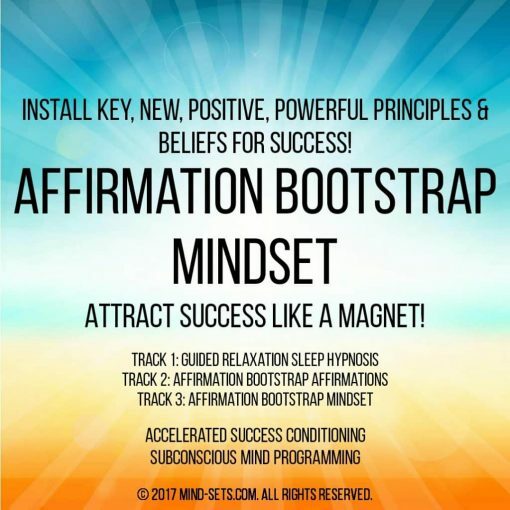 The affirmations presented here have been carefully chosen and are fully audible so you know exactly what you are reprogramming your mind with. These powerful and life changing statements listened to regularly will bring about profound and dramatic changes in your core being. Track 3: This is where the magic begins. 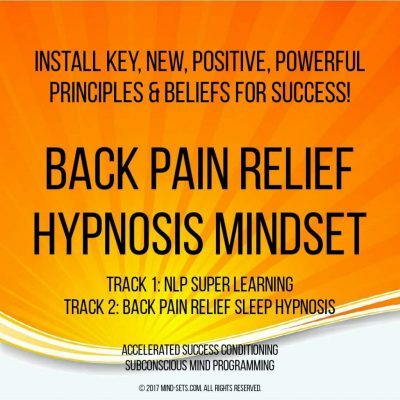 Using our unique audio technology we have created the worlds first truly subliminal way for you to broadcast empowering messages to your subconscious mind. By including a set amount of pure silence this track can be placed on auto-repeat and will begin broadcasting at specific times throughout the day and if you wish the night also. Set and forget technology allows you to listen in the background whilst you go about your daily activities. As with most thing in life after a short period of time your conscious mind will ‘tune out’ listening to the affirmations and thereby allow them to penetrate deep within your subconscious. This simple method holds profound implications for how we can now go about changing our subconscious beliefs, thoughts and consequently our actions. Never before has such a highly powered and radical audio program been offered to the public. Get ready to experience the changes you have always dreamed of. But be careful what you wish for because these recording actually work – unlike some of our competitors. So as always, in the end it is up to YOU – do you wish to stagnate in your current situation with all the attendant negative thoughts and blocks that bar you from becoming the person you were truly meant to be, OR do you commit to change and take the first step in transforming YOUR life FOREVER. Whatever your choice YOUR decision will create YOUR future.